Memphis, TN: Contractors have been hired and plans have been made to tear down the wall separating Victory Bicycle Studio and Pedaltown Bicycle Company, the two bicycle shops on Broad Avenue. The construction is the first step in the plan for Victory Bicycle Studio to absorb Pedaltown and continue its momentum and growth in the Memphis cycling community. “It’s a great thing, and we couldn’t be more excited” said Clark Butcher, owner and founder of the two stores. “Pedaltown has been very successful, but combining the two spaces and focusing on the single brand of Victory will let us offer an expanded level of cycling solutions for more people,” Butcher added. The transition will happen quickly and allow Victory Bicycle Studio to add increased space for larger spin classes, more clinics and special events, as well as expand their offerings for a rapidly growing female customer base. “This change will help us be a more well-rounded shop where we can cater to even more awesome clients, while still having a selection for all ages.” Butcher said. Pedaltown Bicycle Company is immediately liquidating all items in order to make room for the expansion. 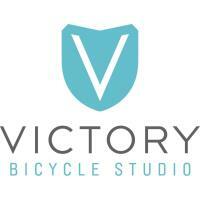 Victory Bicycle Studio is located at 2549 Broad Avenue. For more information about the Pedaltown Bicycle Company liquidation, email clark@victorybicyclestudio.com or call 901.746.8466.